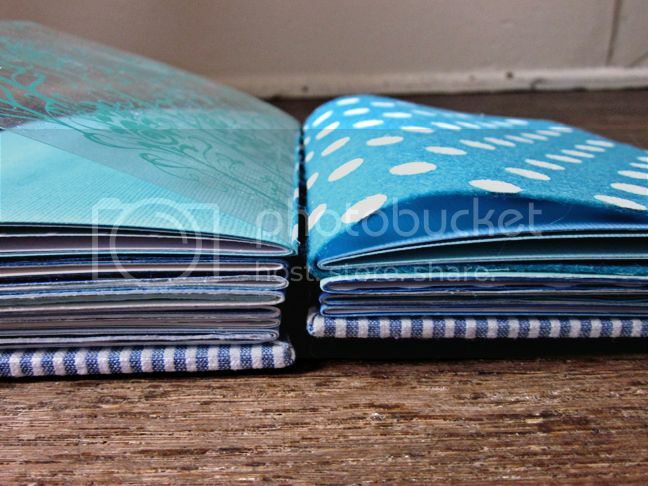 - The book is 5 x 7". 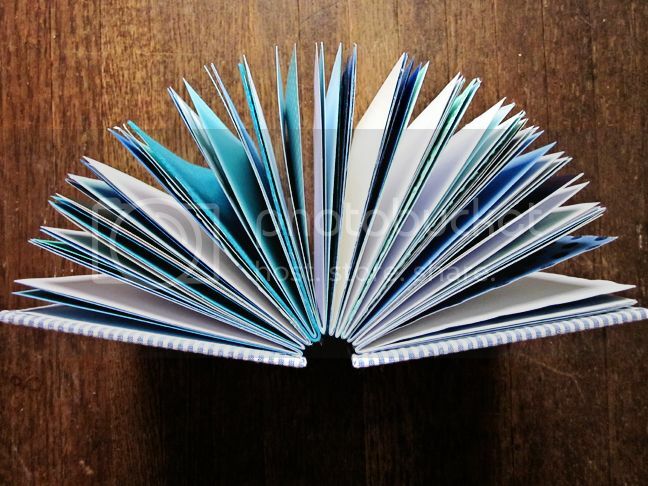 - I used different shades and varieties of blue cardstock, patterned paper, transparencies, and for the first time I tried using felt and tissue paper for the pages. 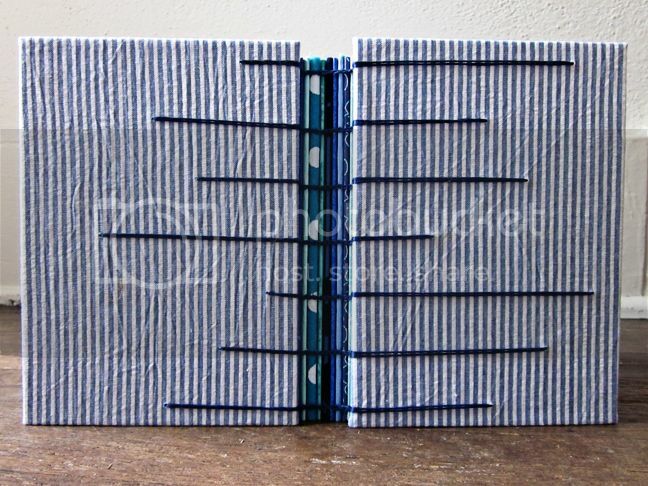 - The cover is made from blue striped seersucker fabric wrapped over binder's board. 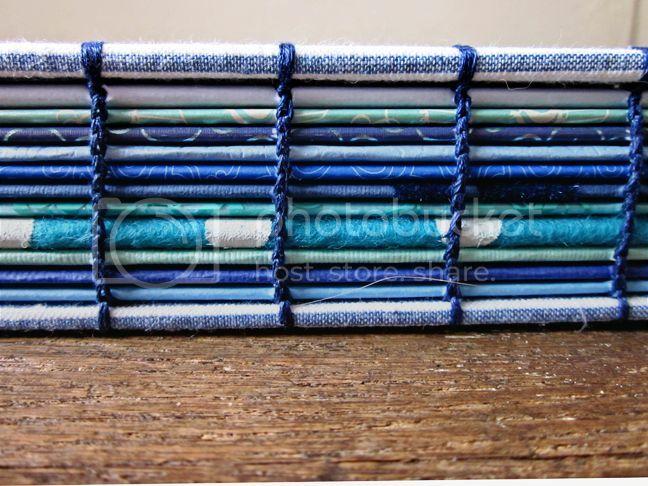 - I used dark blue DMC embroidery floss to bind it all together. - Total time to make: about 5 hours from start to finish. How to: Die cut 15 small ovals from different colors of floral paper. Trim off a little bit of one end of each oval. Fold the ovals in half then adhere them together side to side. 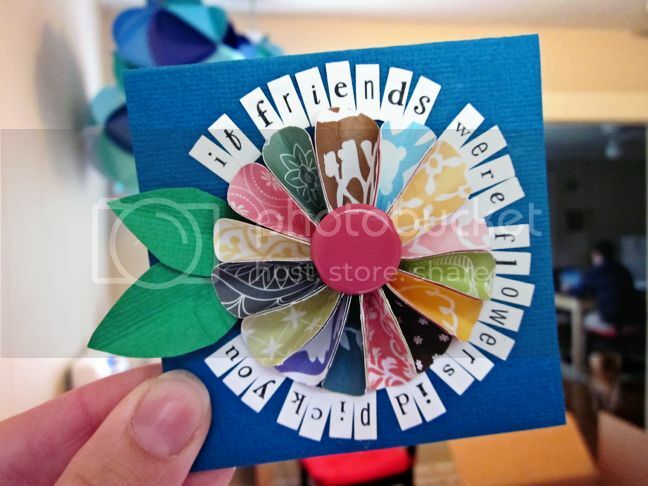 Wrap the ovals into a circle and hot glue them onto a scrap of circle cardstock. Glue and press and arrange until the flower looks good. Hot glue the flower onto a turquoise card base. Adhere a large pink brad in the middle. Place tiny letter stickers around the flower to make a sentiment, leaving a small gap to place two leaves cut out from green cardstock. oh you are so crafty! LOVE it!!!!! btw, I am sure you have seen the little button that says I'm so crafty I make people (maybe it's babies) anyhoo... I think you need it! And I hope someday I can have it! That book is phenomenal!! Can I get one in pink & orange? It'd be so gorgeous! i LOVEEEE the book. love it. can't wait to start filling it up. you are amazing. 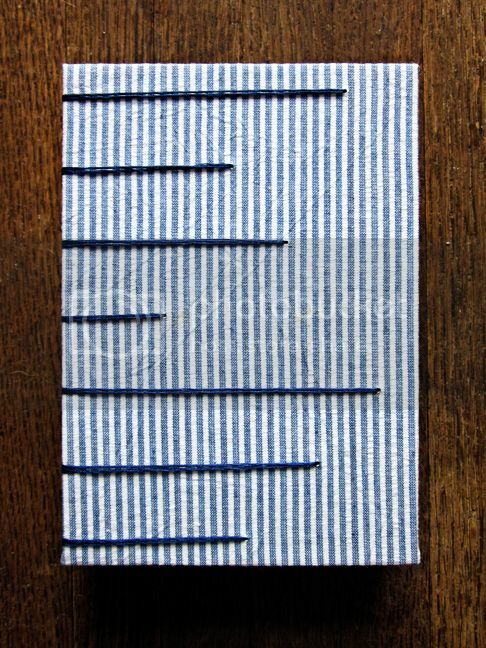 Awesome fabric choice for the cover! you are so insanely talented!!! i can barely participate in a conversation i'm so braindead with pregnancy... and here you are being crafty and creative as ever! i'm in awe! What an awesome book, Paige! And I love your card - very fun & pretty flower! You have a gorgeous blog! I love every detail!! So creative and full of colors! !